Limes are rich in vitamin C. They can prevent the body from ailments. But do you know that excess of lime intake can also be harmful to the body? Here are the negative effects of taking too much lemon. The lime juice contains high amounts of citric acid which can dissolve the enamel. Excessive lime juice intake can damage the tooth enamel coating and increase the risk of caries and plaque. If you begin to experience sensitivity and pain, you should consider limiting the intake of lime juice. Those small canker sores and mouth ulcers can be really painful. Adding lemon to food can make them even worse, make them more painful or even cause more. When you have sores, it is better to heal before drinking the lemon again. Research has shown that if you go out into the sun with lemon juice or lime juice on your hands you risk getting burned and even regular burns. The condition is called phytodermatitis, which the chemical in the lemon interacts with the sun causing the burning of the skin tissue. Those who consume high amounts of lime juice also increase the risk of malignant melanoma. However, it is not necessary to stop drinking lime or lemon juice as moderate consumption can also be beneficial to health. The high quantity of citric acid present in lime juice represents a risk of gastric ulcer. Stomach ulcers develop in the lining of the stomach or in the small intestine and can become very bothersome and painful. Citric acid can damage the lining of the mucus inside the stomach causing painful sores inside the stomach. Since the stomach already produces different acids to manage food inside the stomach, extra citric acid from excess lime juice can irritate the stomach. So if you have stomach ulcers or if you take too long to heal, you should reduce the intake of lime juice or avoid it completely for some time. Although people with kidney stones are recommended to increase citrus intake, however this may not be the case if someone has other kidney problems. All citrus fruits are rich in potassium and high levels of electrolytes will not be managed by weakened kidneys. Excessive levels of potassium, phosphorus and sodium can cause problems such as weakness, decreased heart rate and arrhythmia or abnormal heart rhythm. In addition, those who consume high amounts of lemon juice or take vitamin C supplements increase the risk of kidney stones. The kidney stones are made of calcium oxalate and the excess of vitamin C is excreted through the kidneys in the form of oxalate which can increase the formation of stones. Indeed, the high amount of potassium levels in citrus fruits can influence the electrolyte balance in people with kidney disorders. 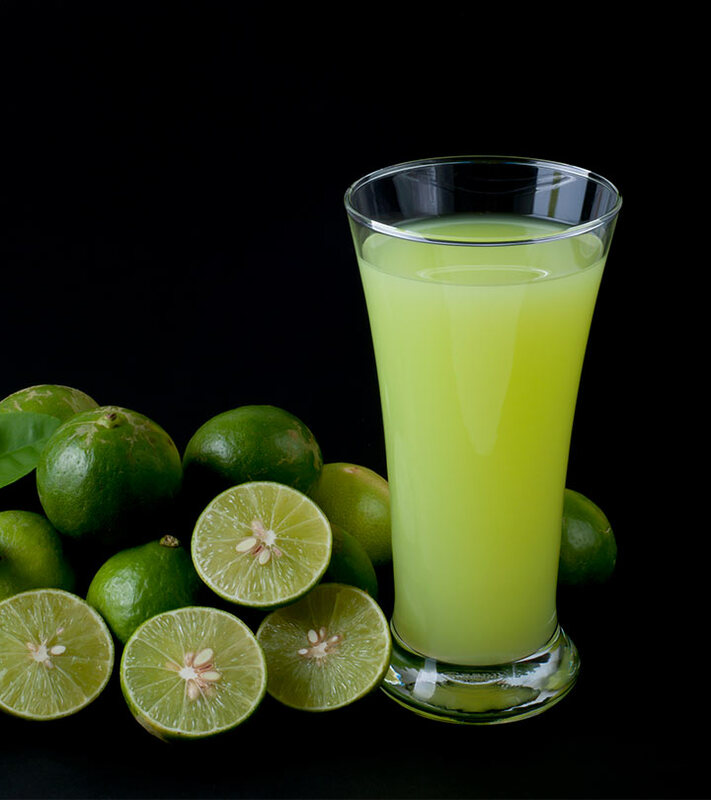 Therefore, excessive intake of lime juice can be harmful to people with kidney disorders. Lemon juice works as a diuretic and increases urine production. If this has increased, dehydration may occur. Lemon juice rids the body of all excess water; leading to a loss of electrolytes and sodium in the body. Also those with potassium deficiencies should never drink lime juice. Pregnant women are more prone to heartburn and food-borne illnesses. Excessive amounts of lime juice can increase the risk of heartburn and other food-borne illnesses as the immune system weakens during pregnancy. Excessive amount of lime juice can affect the stomach, it could also pose a risk to the well-being of the baby inside the uterus. Gastroesphageal reflux disorder is a digestive disorder caused by spicy or acidic foods. It affects the muscle ring between the Oesophagus and the stomach. Excessive intake of lime juice can irritate the Oesophageal lining by increasing the risk of gastroesphageal reflux disorders. Sulfur-based compounds that naturally exist are called sulfites. They are also used as preservatives in food products. Sulfites are inorganic salts. Since it also exists in lime juice, the excess of it can trigger allergies to the sulphite such as nausea, cough, urticaria, rash, abdominal cramps and itching. Therefore people with sensitivity to the sulfite will certainly face problems. When your body is unable to absorb iron, it is a condition called hemochromatosis. These is when iron salts increase and begin to settle on the tissues causing further health problems. The ascorbic acid or vitamin C in lime juice directly affects the absorption of iron in our body. Excess vitamin C can result to excess of iron absorption from food. But even if vitamin C helps the body absorb iron, it can also do the opposite. This results in excess iron that accumulates inside the body. In these cases, you may experience joint pain, weakness, fatigue and sometimes heart failure. Can lime be used to lighten skin? Can lime water help lose belly fat? Is lime harmful to humans? What are the benefits of drinking water with lime? Are limes healthy? What are the benefits of eating a lime? What does lime do to the body?